A pair of 18kt yellow gold and diamond earrings. 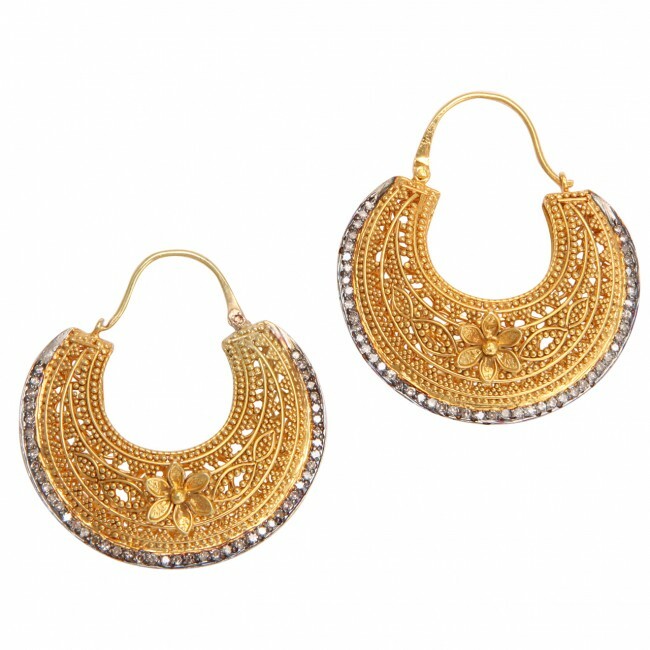 The earrings are composed of 18kt yellow gold beaded hoop baskets with a gold flower in each center. The baskets are bordered with diamonds set in rhodium plate sterling silver. Total diamond weight: .79cts. 18kt yellow gold, sterling silver and diamonds.